A whisper in the dark…how peculiar! A hunting expedition gone wrong…astonishing! A mysterious woman sealed in an ancient tomb…by Jove! A pair of shoes at a crossroads…have you ever seen such a thing? These preposterous journeys take the reader from the sands of Egypt to a small Southern town, deep into a mine in the Wild West and down a river of immortality in Africa.The world is full of strangeness. Megan Engelhardt brings you four of the darkest, funniest, most peculiar situations of them all. 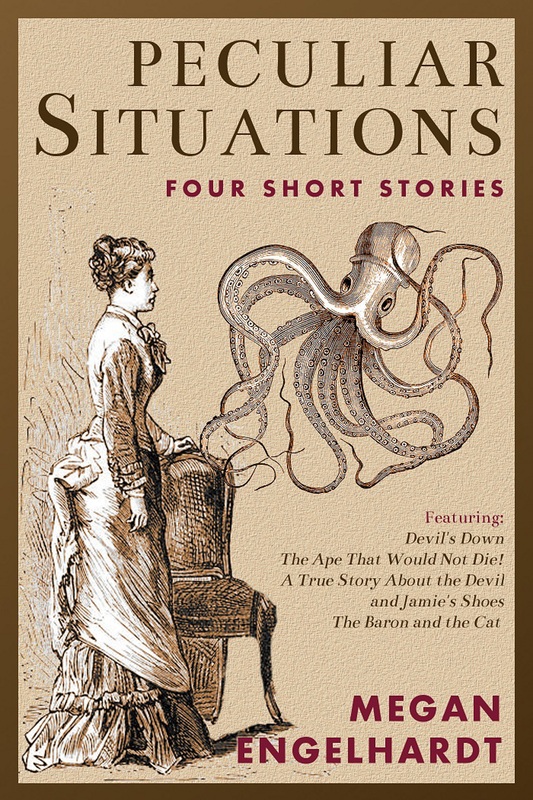 Stories first appeared in The Scroll of Anubis (Library of the Living Dead Press), Zombie Kong (Books of the Dead Press), Necrotic Tissue (Stygian Publications) and The Old Weird South (QW Publications).